We specialise in a broad range of both Classic and Modern crystal and have extensive displays in all our stores. If you want to create real impact with a stunning fitting then you are in the right place; Our flagship products are our Czech range of full lead with Swarovski trim. These fabulous modern crystal chandeliers are made in small family run workshops located in the north of Czech Republic.Each item is made by hand using centuries old methods of producing fabulous crystal lights components. 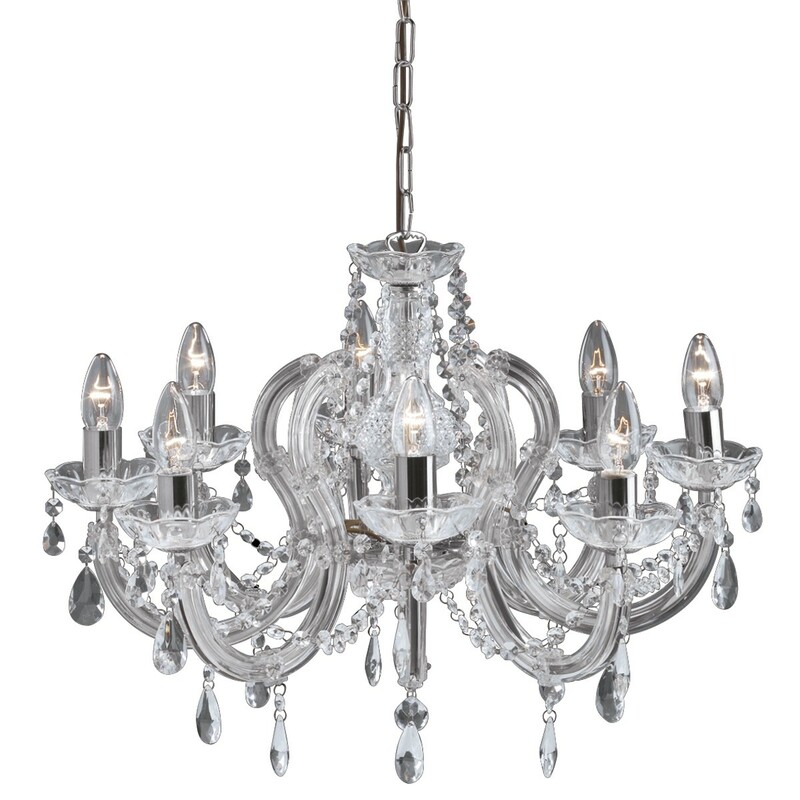 When you buy a true crystal chandelier you are buying a piece of living history and a piece of lighting to be treasured. Each chandelier comes complete with a certificate of origin authenticating its quality and heritage.All are available in different configurations and with 2 and 3 light crystal wall lights. We offer sizes from 3 light to 30 light in Classic style and up to 3m in Modern range. In our classic range we have three designs Kolin, Merin and Liberec.If you have a stairwell or vaulted ceiling then look no further, we have many fabulous designs for you to see. If your looking for our range of Chandeliers you can find them hereIf you can find what you want then talk to us and we will introduce you to yet more designs and even to bespoke lighting solutions.